When I first started reading this book, I didn't have much hope that it was going to grab me and hold onto me to the very end. I think that feeling lasted about two chapters in and then I was hooked! Anna's love of the library and Luke's love of poetry and their respect and love for books and learning...well, they could have been my best friends, I think. Then, there's Anna's best friend who I also completely adored. Honestly, I couldn't get enough of these characters and then, there was the story. While it had some twists that I figured out immediately, the main one kept me guessing right until the end of the book, when the entire truth was revealed. I especially appreciate the research that the author obviously put into the book because seeing familiar historical names and places really set the stage for the entire book. 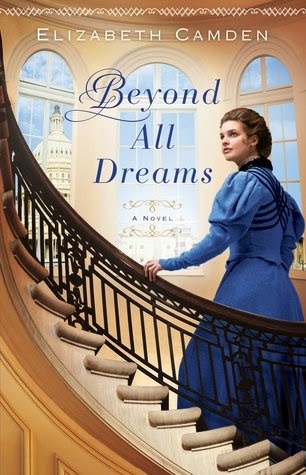 A great historical fiction/romance book and I look forward to reading more of Elizabeth Camden's work.